Permit me to list all the reasons that until last week I ignored Seasons 52, the restaurant that opened in Market Fair late in 2014. It’s a chain restaurant, with 44 locations across the country. Its parent company is Darden, whose brands include Olive Garden and Longhorn Steakhouse. It’s located in a mall – albeit a smallish, upscalish one. 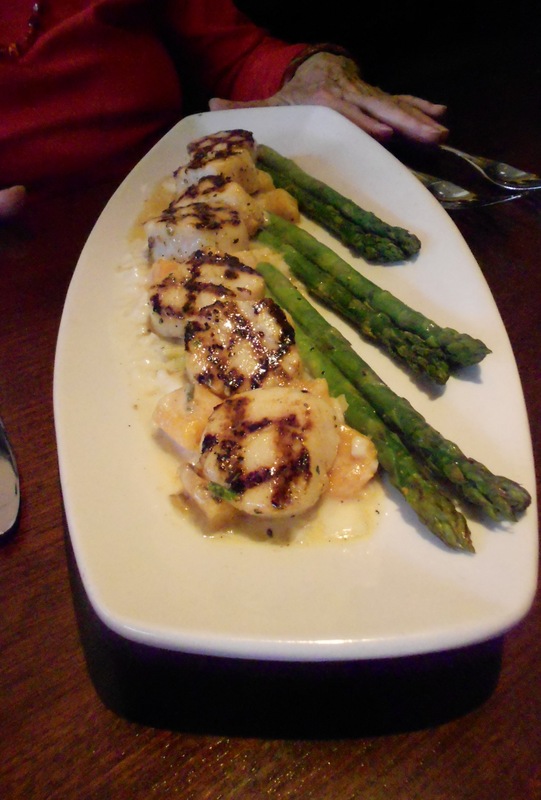 It boasts that no menu item is more than 475 calories. Diet mall food? Puh-leez. It boasts 52 wines by the glass. I mean, come on – quantity over quality? Its menu is all over the place. What one kitchen could produce excellent versions of banh mi, shrimp scampi, black bean tacos, Korean lettuce wraps, and venison stew? Allow me to say, mea culpa. I first became familiar with the brand from my work on the Zagat NJ guides, when the first Seasons 52 in the state, in the Cherry Hill mall, began garnering excellent scores. (Since then, one has opened in Menlo Park mall, and another is coming to Bridgewater Commons.) But even that wasn’t enough to turn my head. What did was the deluge of unsolicited, unfailingly positive reports from Princeton-area folks that began pouring in. Everyone, from the most discriminating foodie to the least adventurous and pickiest of eaters, raved. One restaurant critic (I’m looking at you, Faith Bahadurian) even booked it for her family’s Thanksgiving dinner. In no time, snagging one of its 284 seats (with another 36 outside come spring) became difficult, both for lunch and dinner. 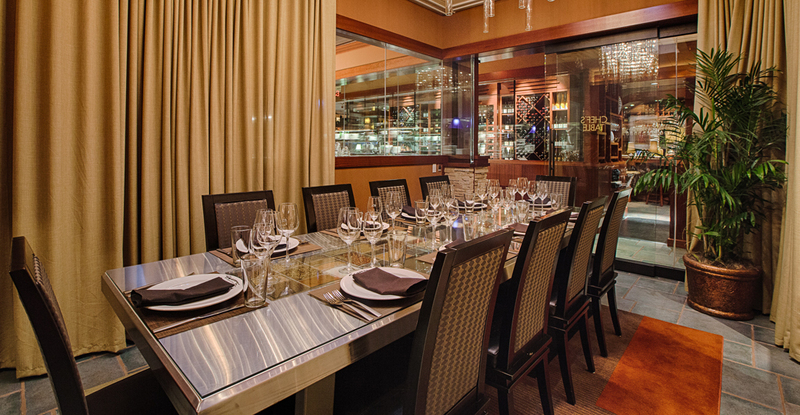 Darden is also parent to another well respected brand, Capital Grille, which Seasons 52 resembles in décor and ambiance – but with kinder, gentler price points. A mall location means there’s always free and convenient parking. 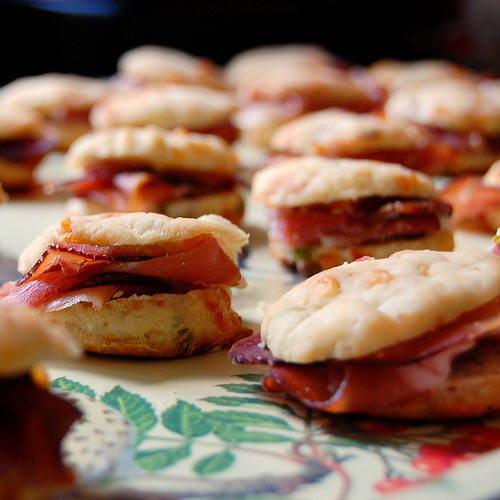 Dishes are smartly conceived to minimize calorie-laden carbs. Flatbreads, for example have a lavash-like base rather than a focaccia base. Those 52 wines by the glass (which also change seasonally) are chosen by George Miliotes, one of fewer than 250 certified Master Sommeliers worldwide. And they’re only part of an impressive international list of 100 wines on the menu. While I wasn’t able to sample the breadth of the menu in one lunch, I was impressed by 100% of what I and my guest shared. 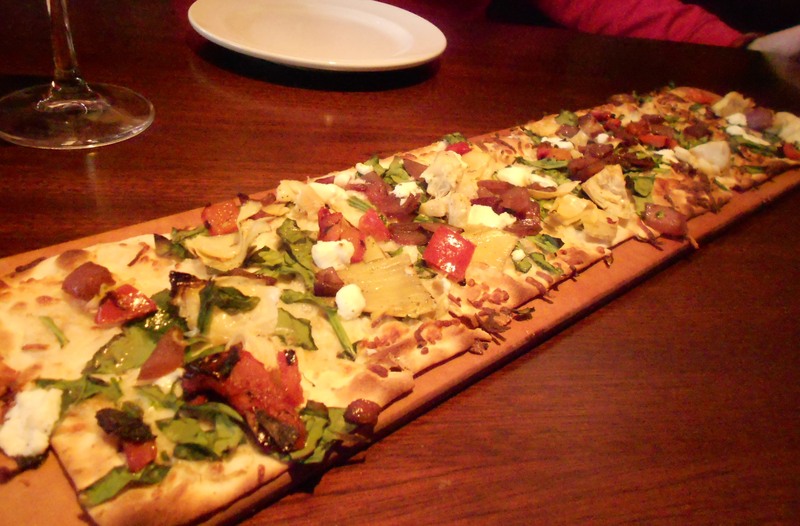 We started with the artichoke and goat cheese (Laura Chenel) flatbread ($9.95) with spinach, balsamic onions, and red peppers. As you can see, it’s big enough to share. The toppings were fresh and flavorful and the crisp, lavash-like base kept the dish light. 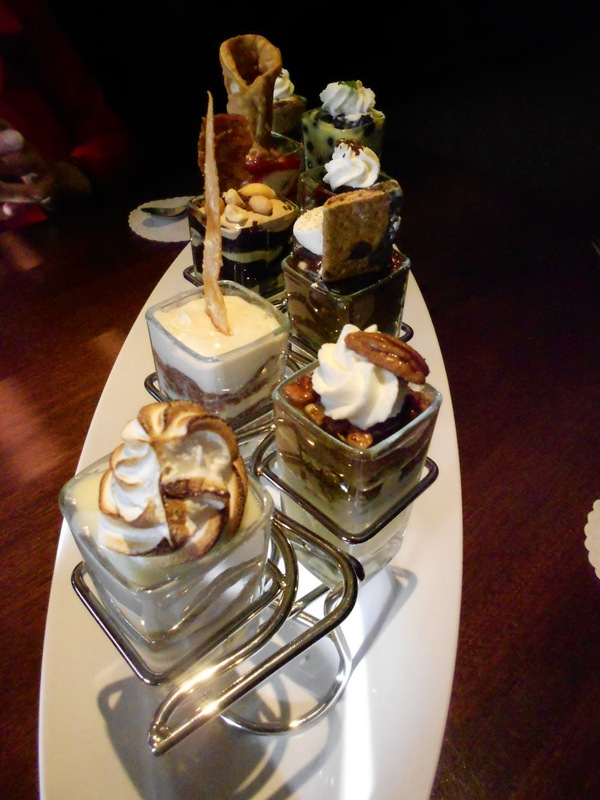 In keeping within the calorie limit, Seasons 52 has finessed dessert into “Signature Mini Indulgences.” Guests choose from among 7 choices, each the size of a double shot glass and costing a mere $2.75. This happens to be exactly the amount of dessert I require. I preferred my guest’s mocha macchiato parfait with caramel sauce to my lemon curd with blueberries, but I would like to try the others, which have flavors of key lime pie, pecan pie, carrot cake, chocolate and peanut butter, double fudge brownies and cannoli with raspberry sauce. 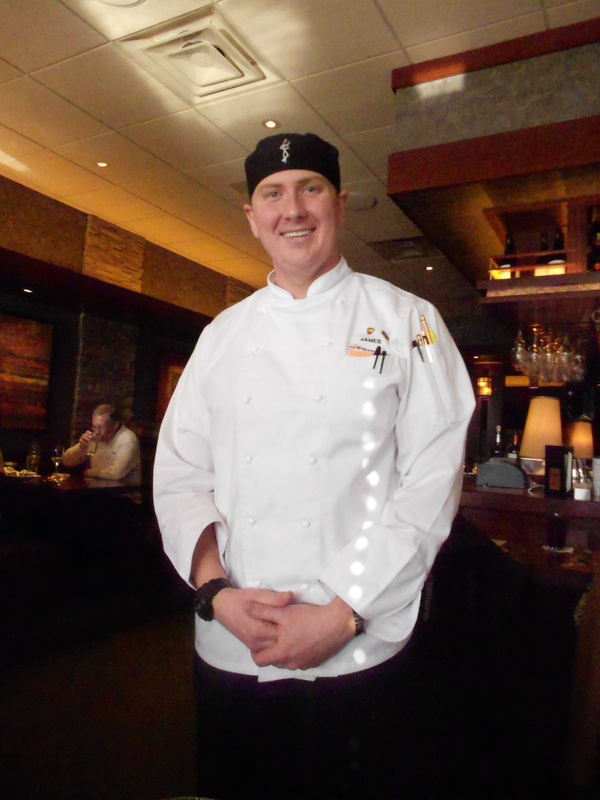 This entry was posted in Restaurants and tagged James Petersen, Market Fair restaurant, Seasons 52 Princeton. Bookmark the permalink. Knew you’d love it! I had those Duck Wraps and Walt had those Tacos. Fabulous! He had the Carrot Cake and I had the Raspberry Cannoli. Also fabulous! Can’t wait to go there again. We dine out like seniors now, like as soon as they start serving so we never have to wait. Stay warm, Pat. Our waiter that day was Sean, fully cognizant of so many aspects of that menu (food and wine), all except your spectacular venison. I returned after the Dryden Ensemble, with two friends, two days later. We took the chance, arriving unannounced, without reservation, repeating some of our choices and essaying new ones. Everything was excellent all over again. The welcome was equally warm on all fronts, even to being granted the embrace of a booth in the bar yet again. A very lively Anna served as our waitress. She is so proud of this place! I could say she became our hostess, seeing to it that everything delighted, with a fine sense of timelessness and promptness. Thank you from the top and bottom of my heart and palate. I’m returning with two artists in a few weeks. One has eaten there; one has not. All are eager! OK are we on the same path or what?! 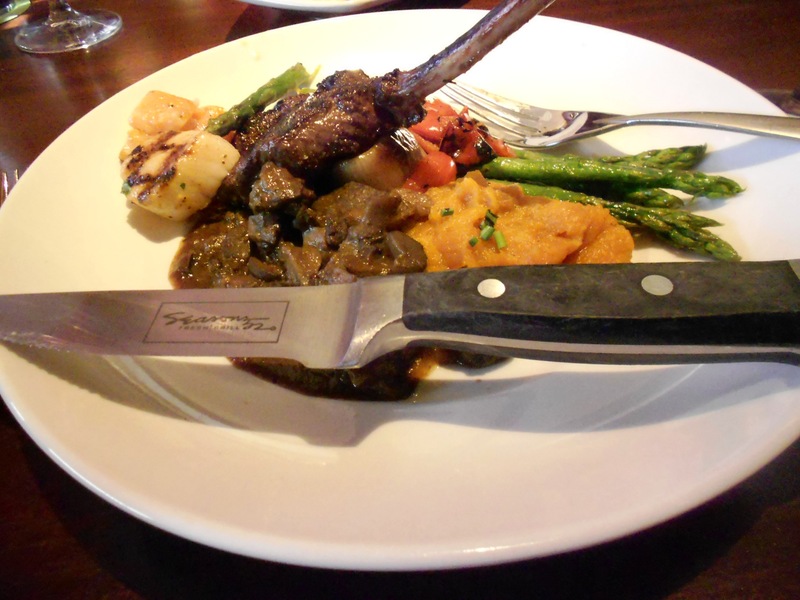 I posted about my recent meal in Boca Raton @ Seasons 52; my second time there. I, too, was impressed for a whole host of reasons – including super-polite, well-trained servers and an appealing (relatively) low-cal menu that didn’t disappoint. PS the key lime dessert shooter was the perfect size and quite satisfying. Pat, someone asked me about Seasons 52 at work today, and I had to tell them how sadly it has slipped. You and I, and then a broad array of other friends had learned by experience to count on this lively, light-hearted new place for beauty and excellence on all levels. Alas, April 28 was my last appropriate meal there. A colleague from work came in the next day raving about his meal and that of his wife that night; and Tasha O’Neill and her husband Alan McIlroy had been royally treated and feted that night for her birthday. However, by Memorial Day, everything had changed., as you know. We even had to send back Margaritas that resembled canned lemonade! WSe should have known. Our waitress said, “I think the bartender knows how to make that.” When I then asked for ‘the San Giovese’ – remember there had been two excellent ones on our day — the waitress did not know what I’d said. Our flatbread looked meagre and stale, the lobster pieces nearly smears. We couldn’t believe it. I was glad I hadn’t gone for my cherished scallops. It was asparagus season and the only mention on the menu was a soup. I asked what ’52’ stand for. The waitress described their devotion to the fresh and the seasonal, as in whatever’s best, each week of the year. Our desserts were anything but seasonal — the same we’d had on our long ago first visit. They were still offering the blueberry one when it was anything but blueberry season. The cake inside my friend’s dessert was stale. This was the Friday night of Memorial Day Weekend. There were other misses, but I forget the details. You know my food memory… I called you, to see if ours had been a fluke night — only to discover that many others are reporting similar experiences. When you and I were there, the chef and our special waiter delighted us with the news that all waiters had been given the first-level sommelier’s courese. If our waitress had graduated from this, which seemed marvelously true of all others I’d encountered there, she has a very short memory. San Giovese had been the chef’s choice at our meal, Pat. Everything you and I had in early spring had been stellar, including each aspect of service. Your venison ragout would have impressed Julia Child. I’ve never had better scallops, not even in Chatham, Nantucket and the Vineyard — and was glad to tell our chef that. It saddens me that perfection is no longer attainable. And even moreso, that ‘our’ chef will not discuss the situation with you.